I see our local Corvus corax during my runs, they wait on the side of the roads for vehicles to crush acorns. They don't put them there themselves as there are plenty. 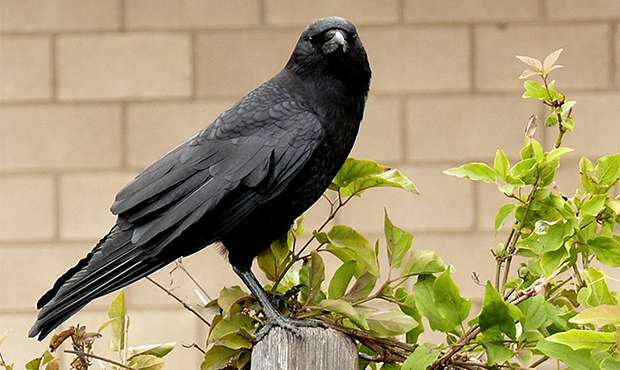 I have however seen crows and jackdaws (C. monedula) take stuff out of litter bins in the streets, working in groups. Connected to your ankle, usually.